U-Reach Data Solutions Inc.: Duplicator4u Black Friday Deals! Thank you for always supporting us! 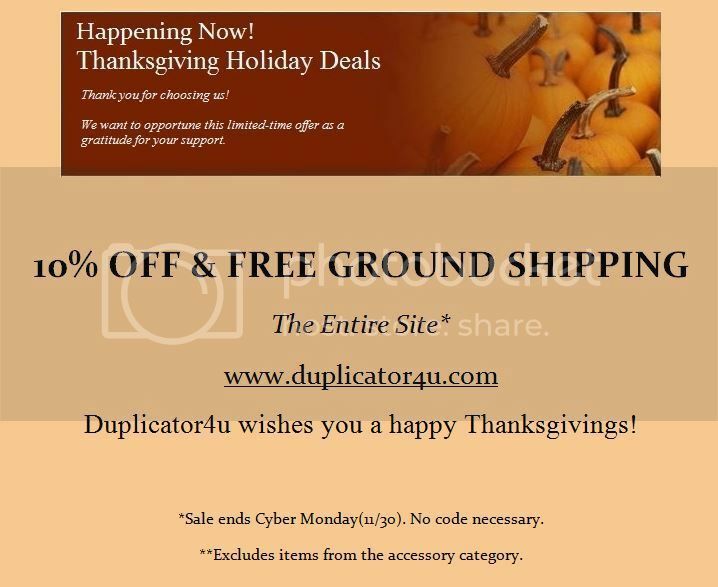 We are proud to announce that our Duplicator4u e-Store will be offering Black Friday Deals. We hope that you take advantage of this limited opportunity before Cyber-Monday(11/30). Have a Happy Thanksgivings!